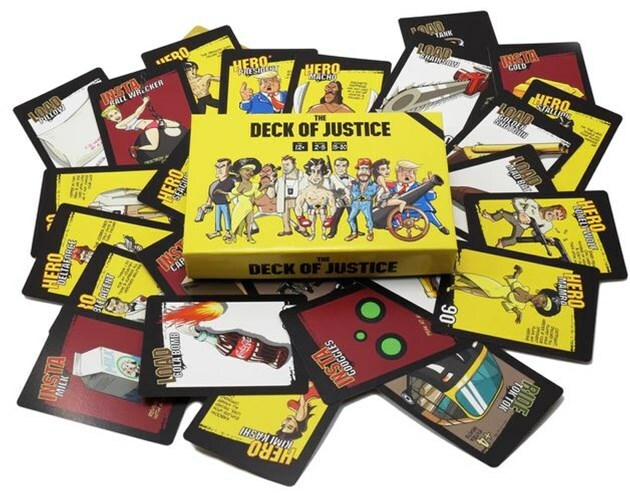 The Deck of Justice is a ridiculously frantic, yet highly tactical, hand-drawn card game for 2-5 players. Players take turns striking one another (with fully loaded heroes, armored vehicles and bulging biceps) in a series of quick cowboy standoffs until there is only one survivor. The game is basically a parody of all the (weird) stuff we love about Japanese cartoon…with a Tarantino-ish homage style to the 80s (and 70s)…encapsulated in an outrageously fast-paced card battle mechanics. 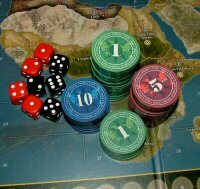 It takes 2 minutes to learn and a lifetime to explore over 7 billion combinations of different combos and strategies. Finally, the deck is on sale and AVAILABLE FOR PURCHASE!!! Happy Birthday #ChuckNorris Grab your copy now. The Deck of Justice is a ridiculously frantic, yet highly tactical, hand-drawn card game for 2-5 players. Players take turns striking one another (with fully loaded heroes, armored vehicles and bulging biceps) in a series of quick cowboy standoffs until there is only one survivor.